The Genie Company invited Building Moxie to visit their world headquarters in Mt. Hope, Ohio for a digital summit. 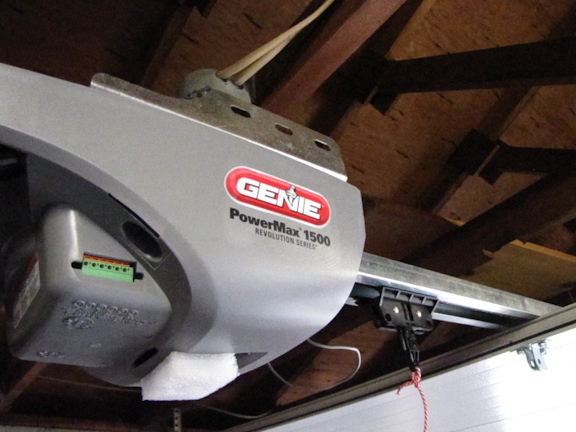 As part of that visit, they gave us a Genie PowerMax 1500 to install for ourselves. 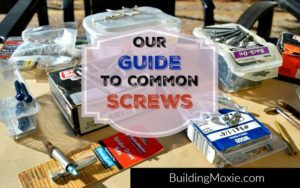 I enlisted the aid of two friends who used to install garage doors and openers for a living. 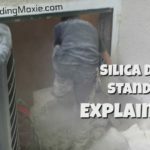 So, while I did not get the homeowner experience on the install, I did get a fascinating glimpse into the world of the installer to complement (and juxtapose) my visit to the Genie headquarters and factory. 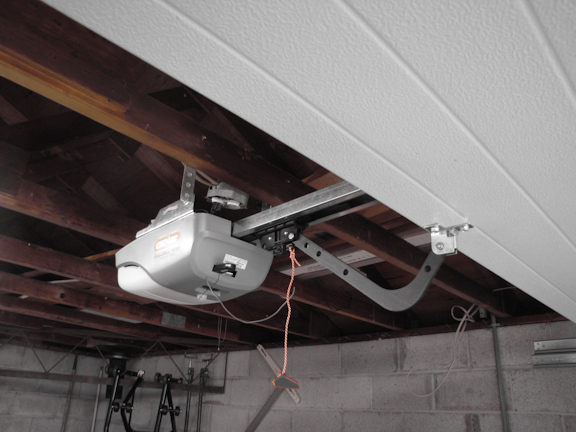 What follows are photos and thoughts from the install plus some helpful tips if you are installing this unit, or any other garage door opener. 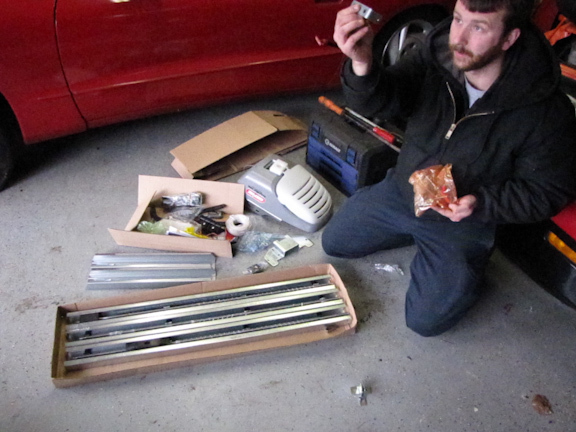 Step 1 – Instructions (out of shot) are read and parts are identified and laid out before us. 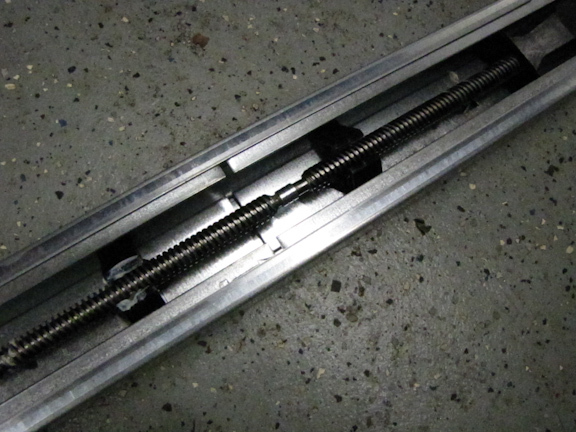 Step 2 – Three piece rail is assembled and screw drive is connected using supplied metal collars. 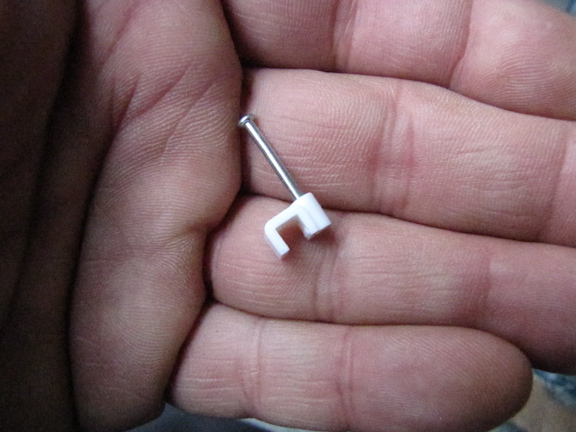 Step 3 – The powerhead is flipped and placed on cardboard. 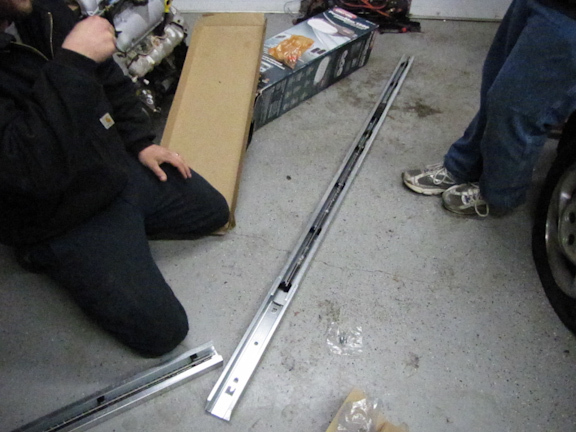 The rail assembly is slipped into place. 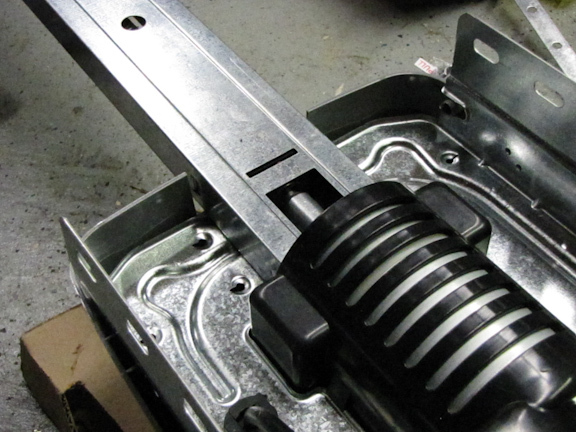 Step 4 – Rail is bolted securely to the unit with the powerhead bracket. 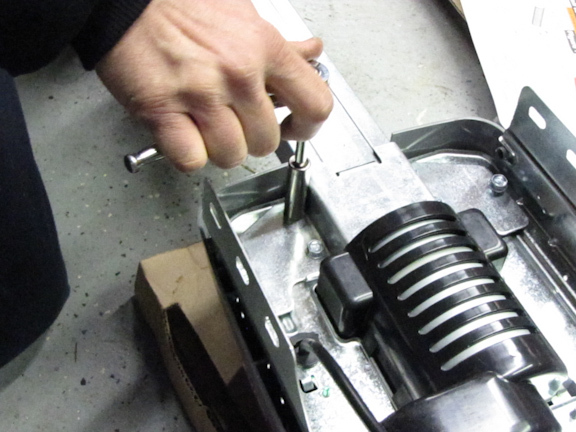 Step 5 – Calculations are made for placement of door bracket. This will be the point on the door from which the lifting is taking place. 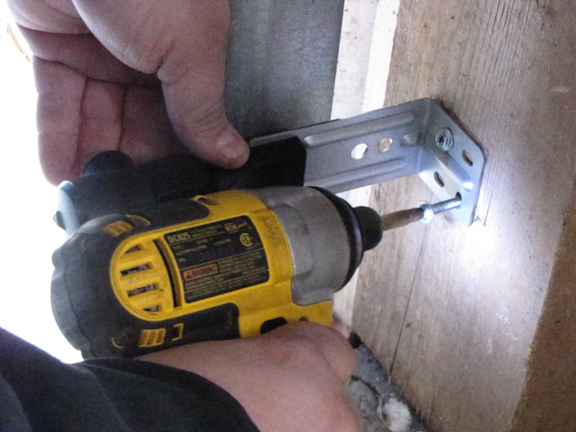 Step 6 – Door bracket is installed. 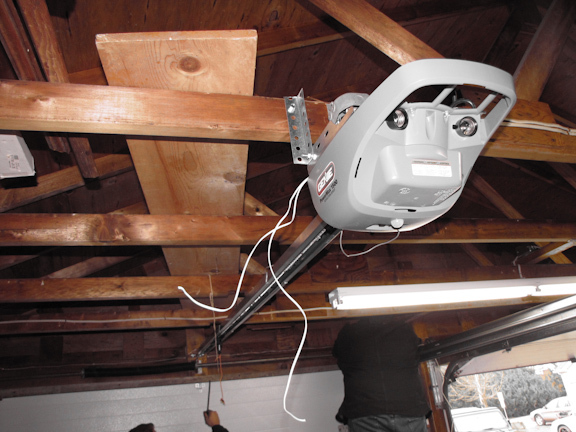 Step 7 – Unit is attached to wall using the header bracket. 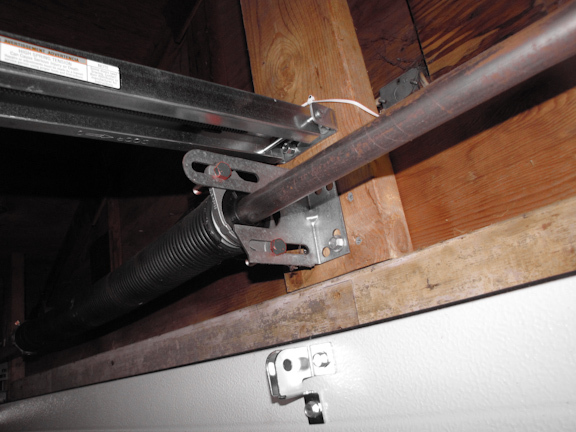 Rail is affixed in line with the door bracket. Above the unit here, we can see the old ceiling light of the garage has been converted to a receptacle. 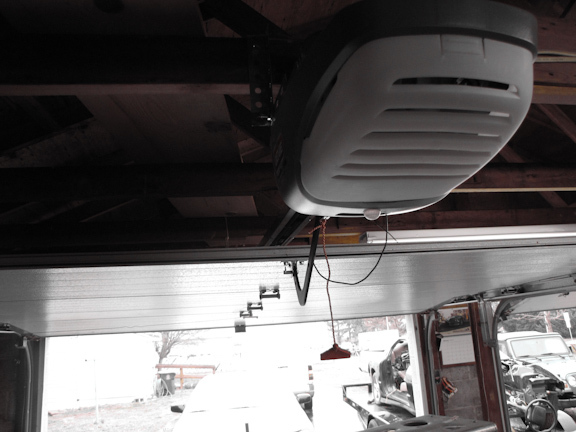 Step 8 – Powerhead is kept floating until we are satisfied that the shuttle, door bracket and header bracket holding the rail are all in line. Once this is verified we will mount the powerhead to the ceiling joists. 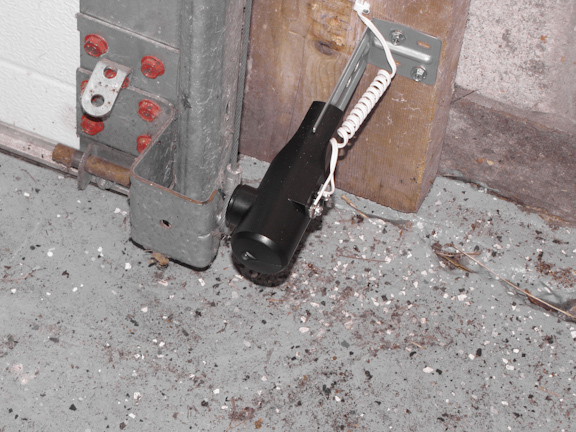 Step 9 – Meanwhile, our second installer moved into mounting the Safe-TBeam source and sensor on either side of the door about 6″ for the floor. 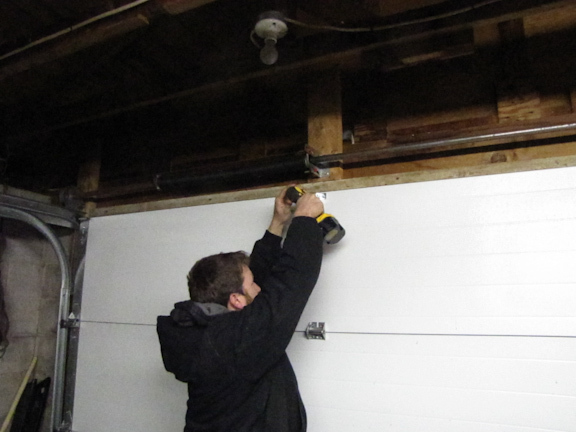 Step 10 – The sensor is connected to the powerhead by wires that are routed along and affixed to garage framing using the supplied insulating staples. Steps 11 & 12 – Installer 2 (Cam) finishes mounting the wiring while installer 1 (Rich) begins installing the curved door arm. 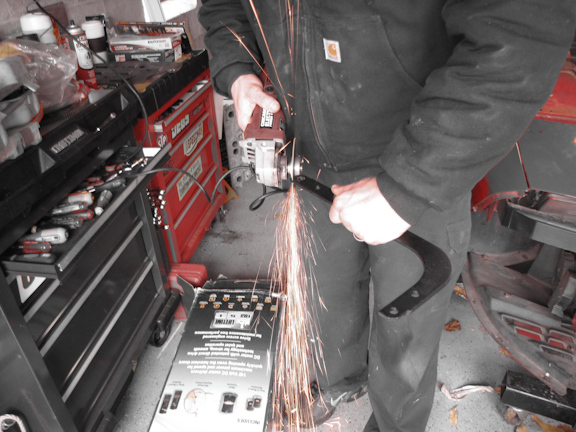 Step 13 – Cam completes the wiring at the powerhead. 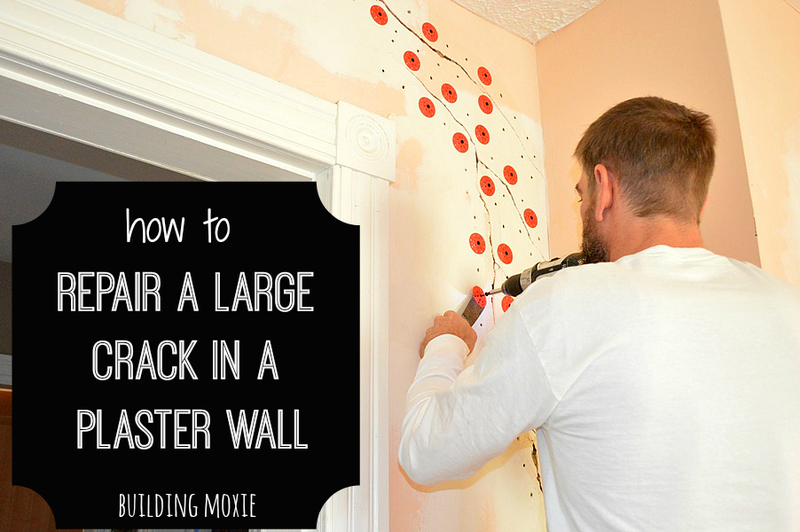 Step 14 – The wall console is installed. 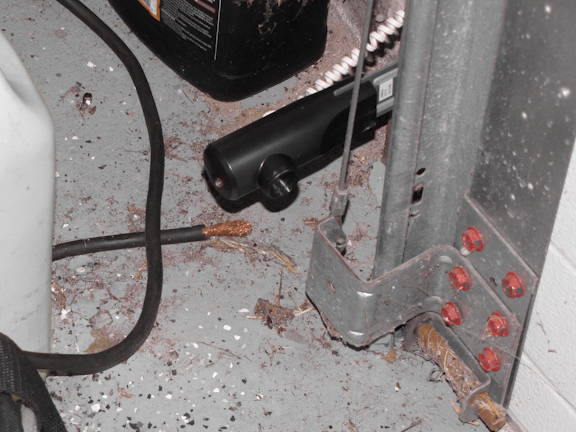 Step 15 – Cam wrapped the wire 12 times around a screwdriver prior to attaching it to the Safe-TBeam Sensor. 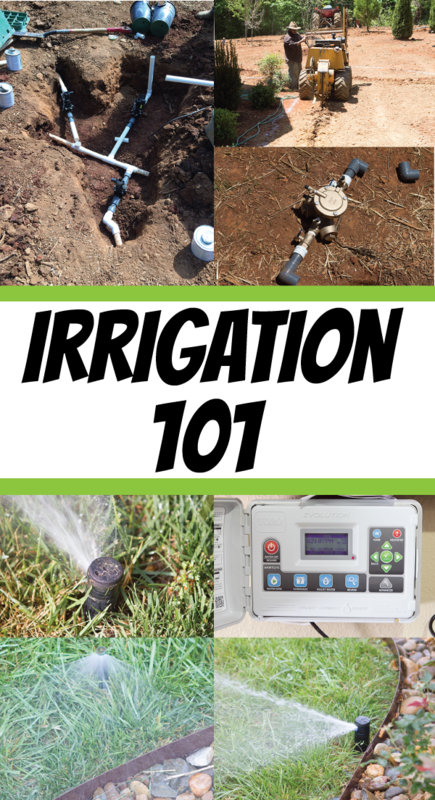 Step 16 – The install is complete and the unit is tested. 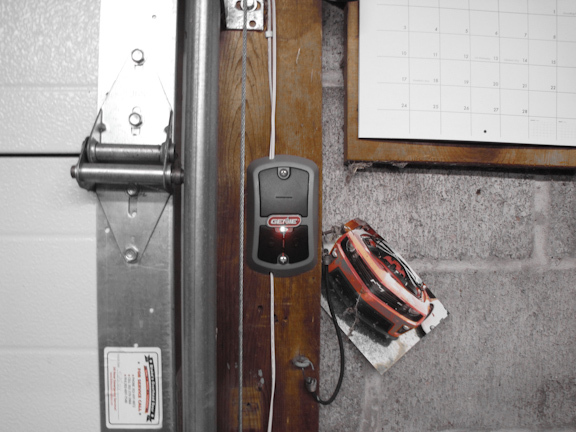 The sensors work properly, stopping the door when the beam is broken and door movement is fluid and impressive. We are all satisfied with how the opener works but agree that there are some parts on the unit which we feel could have been sturdier. We undertook the install at a fairly leisurely pace and it took about 4 hours including our trip to Depot. 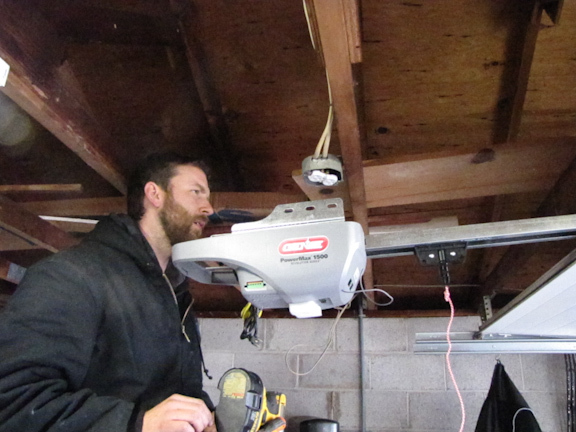 Cam offered that a paid installer would work at a much quicker pace but the four hour install time was probably just about right for a homeowner undertaking the job. Having a helper seems fairly essential to me if you want to avoid extra time figuring out how to support things along the way. 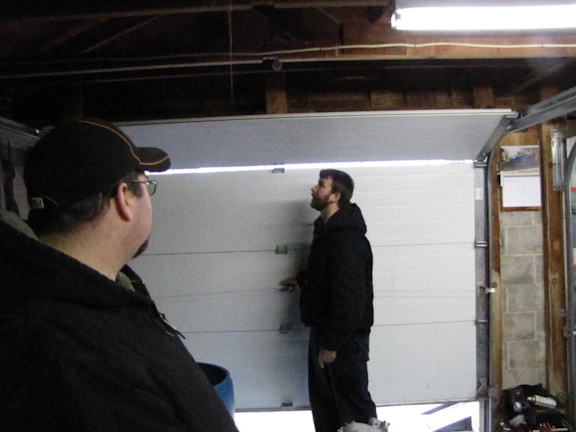 Thanks to Genie for the opener and our installers Rich & Cam for their time and expertise. We learned a lot and hope you did too! 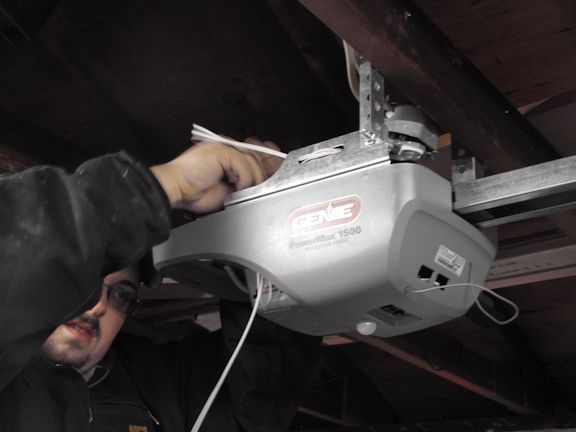 For videos on installing this and other types of Genie components, please also see Installation Videos on the company’s new G-TV >> http://geniecompany.com/genie-video.aspx. I reside in slower, lower Delaware with my wife and our furry family. I am a carpenter and a building project manager. 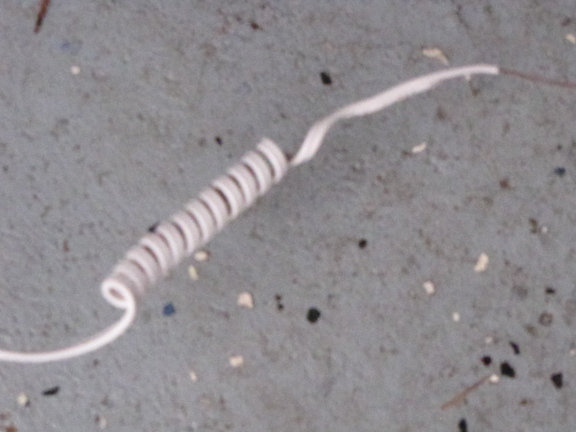 You need the reinforced strut at the top of the door to prevent it from bending the top panel form the opener. 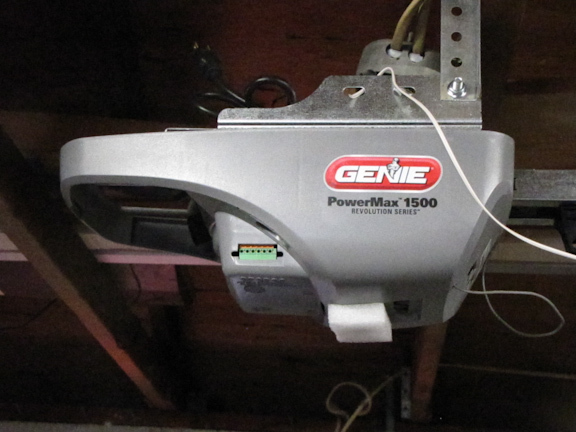 I’ve had nothing but problems with the Genie 1500 Powermax. It refuses to accept the travel programming limits I enter, going one cycle and then tripping both red lights. The door opening/closing resistances are adjusted to Genie’s spec. A call to Genie was no help whatsoever. Second Genie I’ve had trouble with, no more.